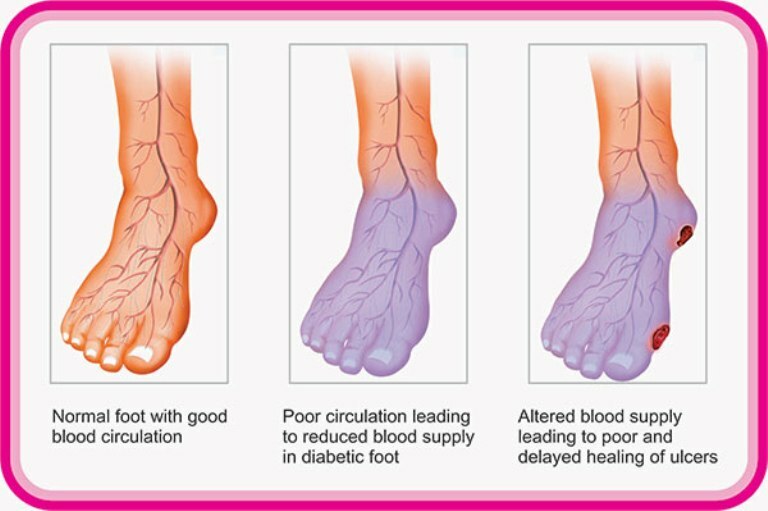 Home » Health » Do You Suffer From Poor Circulation?Here Is How To Solve Your Problem In Just 20 Minutes! Do You Suffer From Poor Circulation?Here Is How To Solve Your Problem In Just 20 Minutes! Many people suffer from poor circulation and high pressure and they are trying to find some solution for their problems. Experts recommend a number of exercises which will significantly improve the circulation, and the body will keep the tone and condition.These exercises will take only 15-20 minutes of your time. Whenever you have a free time, try to do these exercises, ride a bicycle or swim for at least 45 minutes at the pool. Stretching is first thing you should do in the morning, before getting up from bed. So, stretch well your legs and arms. In standing position, lift up on your toes and come down on your heels. Make sure your muscles are tighten. Repeat this at last 10 times. Relax your neck by turning your head to the left and then to the right,counting to 10. Next, roll your head around and bend it down until it touches the chest. Crackling sounds are normal and they indicate that you are performing the exercises properly and that you stretch the neck ligaments successfully. Perform a set of 10 pushups, in the morning before shower. This will provide you with energy for the following day. Sit with your knees on the floor creating an angle of 90 degrees. Raise your toes from the floor while keeping the heel on the floor. Then put them back on the floor. Do this with one leg then with the other. Next try with your both feet at the same time and eventually complete the exercise by swinging the heel to the toes. Sit on a chair and rotate your foot in a clockwise direction. Repeat 10 times. By doing this you will improve the blood circulation and flexibility of your legs. This is an excellent exercise to improve blood circulation and prevent cramps . First stretch and spread the fingers of your hand. Next, make a fist and hold that position for a couple of seconds. Then loosen your joint and spin your hand in a circular movement from the shoulder, for one minute. The best exercise to improve your blood circulation is certainly walking. It tightens and relaxes the leg muscles and stimulates blood pumping throughout the body. Also, it reduces the blood pressure. You can begin with short walks, 2-3 times a week. Swimming is an exercise with no tension which engages all body muscles and stimulates oxygen flow to the heart and lungs. It is especially good for individuals who suffer from muscle and joint pain and it can be good practice for people of all ages. Yoga is breathing control technique which improves oxygen concentration in the blood and blood circulation in the muscles. Cycling is an excellent exercise for improving blood flow in the lower part of the body. Dancing may not be something you will do on daily basis, but is good way to improve your blood circulation.